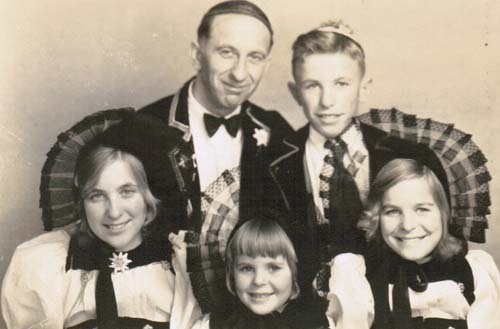 www.SwissFamilyFraunfelder.com is an effort by the descendants of the "Swiss Family Fraunfelder" to consolidate and preserve our interesting family history from the musical stage, screen and radio. We believe it not only has entertainment value but lessons on family, diversity, culture, and immigration that should be held for future generations. More corrections and additions are welcome. This is a work in progress. Contact Larry Ganders a grandson of Papa and Mama Fraunfelder, and son of Betty Fraunfelder Ganders, to make contributions, corrections, or inquiries regarding SwissFamilyFraunfelder.Com. SwissFamilyFraunfelder.Com can best be viewed on Microsoft Explorer 11.0, and Mozilla Firefox 46.0. It also works with Google Chrome Version 50.0 and Apple Safari 5.1.7. 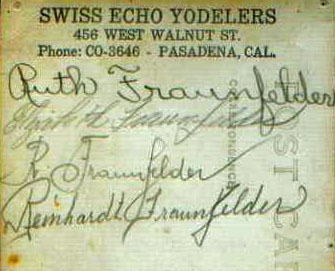 Information is gleaned from a variety of Fraunfelder family members and their private archives. Many photos and documentation were provided by Yvonne and Dr. Fritz Fraunfelder of Lake Oswego, Ore. Fritz is the youngest of Papa Fraunfelder's six children. Many original photographs, vinyl records, and other family papers provided by Ryan "Buba" Fraunfelder, Tigard, Ore; the son of Rheiny Fraunfelder. Original newspaper advertising and other documents and pictures were provided by Erika Williams, of Foothill Ranch, Calif. Erika is the daughter of Rheiny Fraunfelder. Sonia Redmond, daughter of Hans Fraunfelder, discovered some of the early 1930s flyers and other photographs posted on this website. 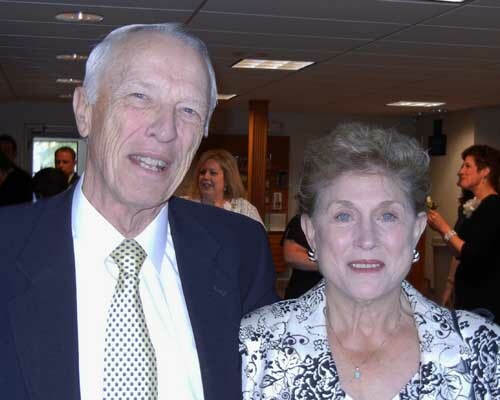 Special thanks to Cara Ganders, great granddaughter of Papa and Frieda Fraunfelder, for her research contributions. Check out a pdf list of Cara's Fraunfelder sources and hyperlinks that provided background for this web site. 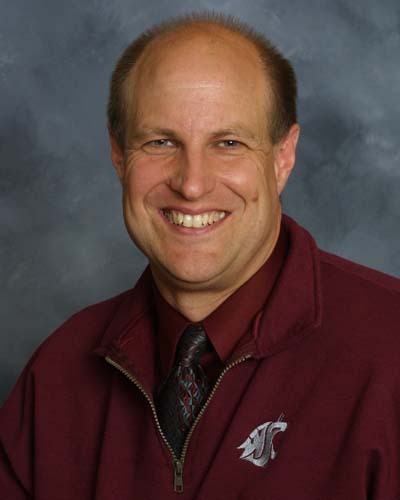 Critical geneological research was done by Paul Frauenfelder, a professor of mathematics at Winterthur Hochschule, a higher education institution in the Zurich Canton, Switzerland. Paul Frauenfelder was a cousin of Papa Fraunfelder. Photos and information on Mama Fraunfelder, Frieda Fehlmann, was provided by Philippe Fehlmann, a Swiss grandson of her brother. 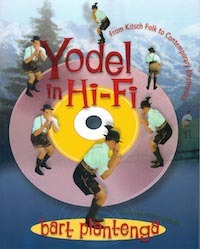 There are also Fraunfelder references in Plantenga's 2012 book, "Yodeling in Hi Fi," which is available through the University of Wisconsin Press. 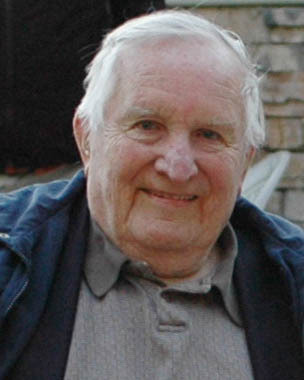 Richard Buckey, husband of the late Ruth Fraunfelder Buckley, and his granddaughter, Megan Buckley, provided several old Fraunfelder recordings including a 1938 Electro Vox disc that are posted on the music download page. Lisa (Ganders) Yoshida, a daughter of Betty Fraunfelder Ganders, and Mia Yoshida, daughter of Lisa, provided the Rondo cartoon poster. 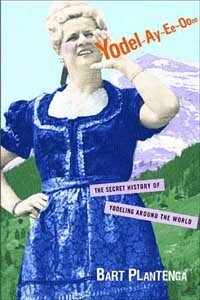 Research on Grandma' Fraunfelder's traditional Swiss lullaby was greatly assisted by Tanja Seiler , who works for the consulate general of Switzerland in San Francisco, Calif.
Motion picture information found on Internet Movie Data Base (IMDb) and the American Film Institute Catalog. Three Fraunfelder recordings are listed among about 30 records under "Selected Discography" in James P. Leary's book, "Yodeling in Dairyland." 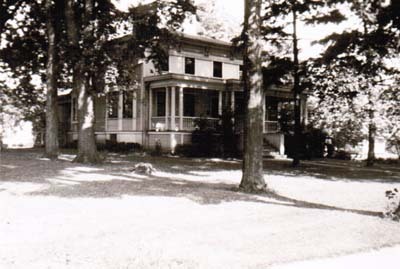 The book was published in 1991 by the Wisconsin Folk Museum. 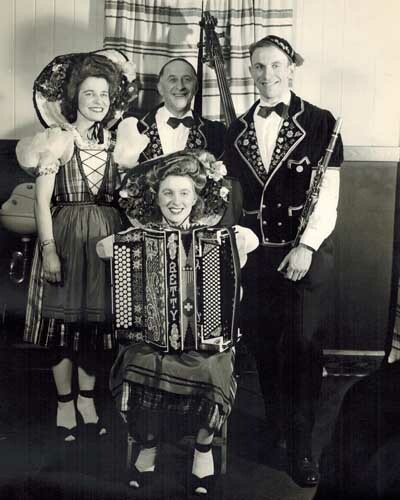 Accordian information provided by Michael Arralde, Diamond Accordians; Kent, Wash.
One Fraunfelder tune, "The Herd Song" was included in a compact disc recording of Swiss music titled "Swissconsin." It was compiled by the University of Wisconsin, Center for the Study of Upper Midwestern Culture. 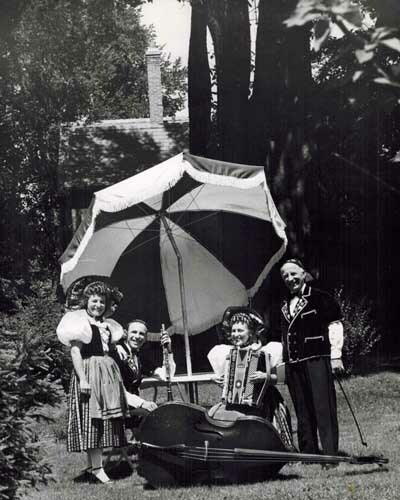 Chautauqua Circuit information provided through the Library of Congress and the University of Iowa Libraries. 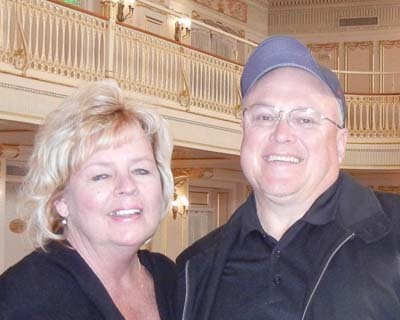 Gretchen Curtis, director of operations for the the Lakeside Heritage Association, was helpful in confirming information about the Fraunfelder's opening day performance in the 1942 Chautauqua in Lakeside, Ohio. Huntington Daily News story on lawsuits appeared in Hollywood Roundup column on Jan. 16, 1940. Milwaukee Journal and Milwaukee Sentinel articles, ads and other newspaper clips provided by Google News provided important information. Fraunfelder feature in the Milwaukee Journal was published June 12, 1941. Elkhorn, Wisconsin, recollections from the 1940s are published in "Small Town Boy," by Donald E. Van Scotter. Trafford Publishing, 2006. Alpine Records made a number of announcements in Billboard Magazine, such as on March 24, 1951. Printed program for the Fraunfelder Concert, Germania Hall, San Diego, Calif., Dec. 8, 1939 provided information. Keating recording studio information provided by HistoryLink.Org. Keating recordings transferred from 78 rpm acetate to digital by Chinook Wind Recording, University Place, WA. Heather White of Rancho Palos Verdes, Calif., said the Fraunfelders were friends for many years with her father, now 93 years old. Her father, Doug Ross lived in Glendale, Calif. The Ross's and the Fraunfelders vacationed together at Mt. Baldy, where Doug had a cabin and photography studio. 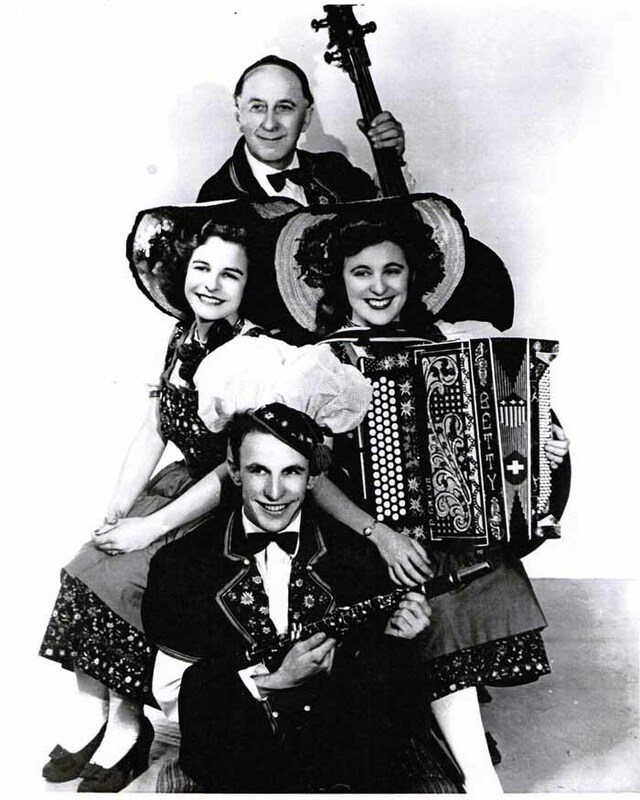 Heather provided some photos and clippings used on this website including a circa 1938-40 photo of Betty playing the accordian. 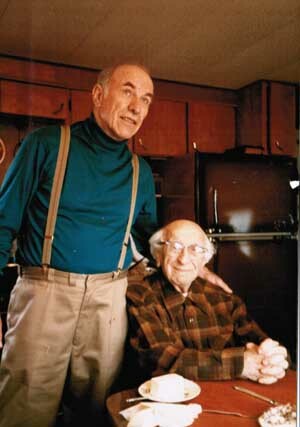 The late Rheiny Fraunfelder played a huge role during the 1970s in preserving Fraunfelder music by transferring many songs from steel and acetate master records to a wax master. 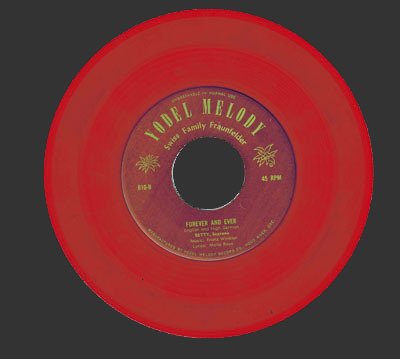 Others were transferred from plastic or vinyl records such as the red 45 rpm at left. As the Fraunfelder tune on the red record suggests, we'd like to keep these memories "Forever and Ever." Rudee Rolla recording was transferred from Rheiny's wax 33 1/3 rpm master in about 1975 to tape and was digitally remastered at an Olympia, WA recording studio called The Recording Lair in the 1990s. Some other recordings were improved at that time. The Recording Lair, owned by Daryl Sarnat, is now reportedly re-located to Corpus Christi, TX. Other recordings such as Garibaldi and Rocky Mountain Milk were transferred to digital in 2012 from acetate masters and old records by Kerry Webster, Chinook Wind Recording, University Place, WA. Other links to recordings at www.swissfamilyfraunfelder.com pages may contain more sound imperfections as they were transferred directly from record to digital. Schlitz Family Fraunfelder Christmas Poster was restored by Boston Harbor Photography of Olympia, WA.